Village Bend community is sold out and is not in active development by builder. If you are interested in Village Bend or similar new home communities, contact us today! 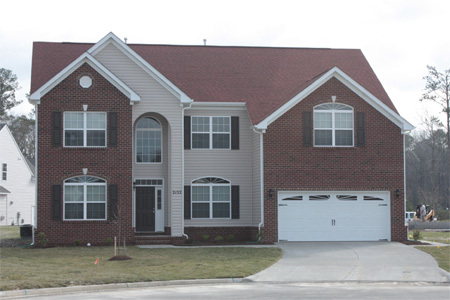 Our agents are very familiar with new and newer construction in Virginia Beach, and can identify resale opportunities in Village Bend, as well as builder inventory available in nearby or similar communities in Virginia Beach. To view 8 more pictures, interactive maps and the full, detailed description of the Village Bend community, please Login. How can a city as beautiful as Virginia Beach get any better? By adding new construction properties like those in Village Bend. Virginia Beach, VA, is home to Naval Air Station Oceana and the Christian Broadcasting Network.The largest city in the state and crown jewel of Hampton Roads, this metro area just keeps growing. Beautiful beaches, Back Bay National Wildlife Refuge, city parks, the Chesapeake Bay and green golf courses all help comprise the landscape of this large, diverse city. Village Bend is an example of how skilled developers seamlessly integrate new construction properties into this vast land. Classic, elegant and timeless- these homes are made for living, entertaining and enjoying life in Virginia Beach. Send me more information about communities similar to Village Bend. Our agents gladly offer FREE property tours of Village Bend, Virginia Beach and homebuyer consultations to all serious buyers.